There are hundreds, okay maybe not hundreds, but many reasons why you should try some dressmaking courses. Sewing is an essential skill in life. We've all had an unwanted hole in clothes. Maybe your ripped jeans have ripped a little too far, or perhaps your little ones just keep ripping their clothes with all their tumbles and trips. Either way, fixing clothes is going to be a necessity. But it's not only mending that a dressmaking course can teach you. Have you ever had a dress that you think could look so much better if it were just to be a little wider there and a little tighter here? Perhaps a pair of trousers that keep getting increasingly smaller around the waistband? Dressmaking courses can teach you how to perfect alterations. No more trips to the tailors to shorten your trousers or re-cuff those jackets. Clothes aren't made for life anymore, they are mass produced and well, let's be honest, the quality of high street and even labelled brands are slipping substantially as the years go on. To learn the skill of dressmaking you will be able to buy with confidence second-hand clothes from vintage boutiques knowing you can tailor them to yourself. You really can't underestimate the power of a great outfit, without sounding incredibly cliche, and well-fitting clothes stand out like no other. The two ladies that run the sewing school Sewilicious are truly a delight. Hosted at the Cabbage Patch pub in Twickenham, their classes range in levels. This 'sew your own summer skirt class' is perfect as you don't have to have any experience. The girls from Sewilicious offer you a 10% discount code once you've booked the workshop to buy the fabric from them. They provide all other materials. 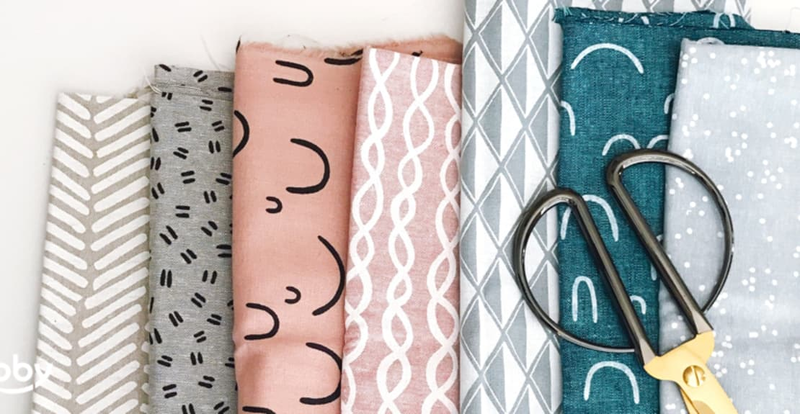 You can make a skirt in cotton, linen, chambray or cotton lawn, so no matter what your style, you'll be able to find something that suits you. This dressmaking class will use the Zinnia pattern to design and make a beautiful skirt in the fabric of your choice. Your esteemed teacher, Charlotte Newland, will teach you standard sewing terms and techniques that you will be able to apply to other patterns. This pattern ranges from American sizes 0-18, and you will be able to find the measurements for those sizes on the Zinnia size chart. Unfortunately, this class does not cater for sizes outside of this range. This class is suitable for dressmakers of all experience, although it is required that you know how to use a sewing machine. Sewing machines and all tools will be provided. From threading the machine to making your first garment - Gabby will happily personalise the experience to suit what you want to make. We will go over all the basics to get you making your own clothes and end up with a garment that you can wear! This class is three hours with seamstress Gabby Young who runs the popular sewing blog Gabberdashery. This class is usually run on a one-to-one basis and one of our favourites on the site, so we do recommend this. Make Mee Studio is run by Tracey & Jaime. Two enthusiastic lifelong sewers (both sewing since they were 5 years old!) They love sharing their making skills with others, and have over 10 years of combined teaching experience working with adults and children. They offer both a beginners dressmaking course or a dressmaking course for the more experienced sewer. They have a lovely studio in Brockley. You can either take your own fabric or you can use their offcuts as long as you offer a small donation which goes towards the tea and cakes they provide throughout their workshops. Arianna Cadwallader, workshop seamstress from Channel 4's 'This Old Thing: Vintage Clothes Show' and author of 'Sewing your perfect capsule wardrobe' is the teacher for these workshops. Held in a beautiful location in, accessible and upmarket Chelsea, you can spend a Saturday learning how to make your very own pair of silk shorts and a laundry bag. During making these, you learn the basics of a sewing machine, and the skills required for simple dressmaking. "Nice shorts." "Thanks, I made them!" Fed up of never finding clothes that fit correctly? Learn how to alter your own clothes - During the workshop we will cover basic alteration techniques -turn up hems, take in seams and waistbands to create a better fit. You will learn how to do a fitting and how to use that information to make the alterations. Bring in 2 items of clothing from home, a skirt and a dress, or practice on my charity shop supply to give you the real experience of making the alterations and the issues that may occur. All these workshops are bookable via Obby but brought to you by London's skilled makers. If you'd like to book any of these workshops please click through the blue links to find date and time that suits you!